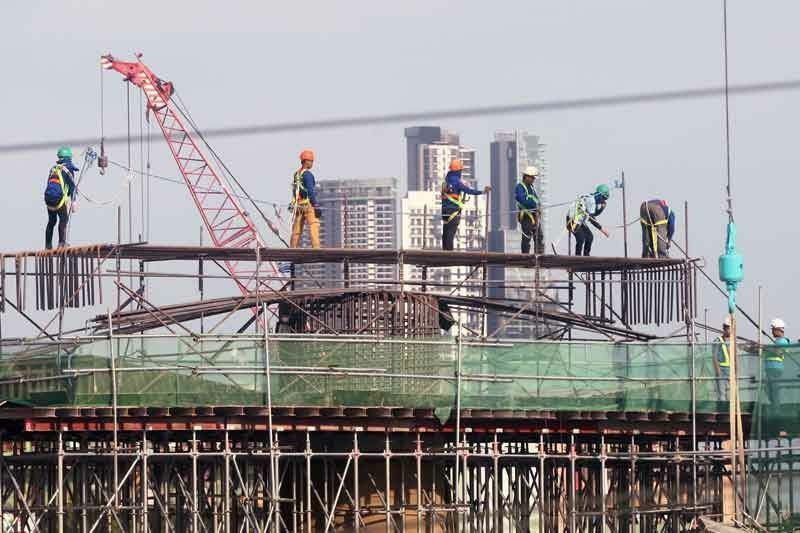 During the Economic Journalists Association of the Philippines (EJAP) Economic Forum Tuesday, Budget Secretary Benjamin Diokno listed the infrastructure projects under the Build Build Build program which will be rolled out by the government next year. MANILA, Philippines — The government is set to implement 10 big ticket infrastructure projects worth P36.23 billion in 2019, the Department of Budget and Management (DBM) said yesterday. These include three major road and bridge projects and two flood control projects by the Department of Public Works and Highways (DPWH), as well as five railway projects of the Department of Transportation (DOTr). Among the road projects to be implemented in 2019 are the P3.57 billion Improving Growth Corridors in Mindanao Road Sector project, the P2.34 billion Road Upgrading and Preservation Project, and the P1.85 billion Central Luzon Expressway Project Phase 1. Diokno said the DPWH is also scheduled to commence the implementation of the Metro Manila Flood Management Project Phase 1 worth P2.2 billion and the Flood Risk Management Project in Cagayan, Tagoloan and Imus Rivers, which has a total project cost of 1.68 billion. He said the DOTr would also start the construction of the P14.04 billion Philippine National Railways North 1 (Tutuban to Malolos) Project, the P2.91 billion Mindanao Railway Project Phase 1, the P1.52 billion Metro Manila Subway Project Phase 1, and the P1.42 billion PNR South Commuter Line (Solis to Los Baños) Project. Diokno said the government intends to release P4.7 billion next year as subsidies for the Manila Metro Rail Transit Line 3. Diokno emphasized the urgency of implementing the program given the “dismal” state of the country’s infrastructure. He said this needs to be addressed to achieve sustained and inclusive economic growth for the country. “For nearly two decades, the Philippines has enjoyed uninterrupted economic growth. But even with such remarkable achievement which allowed us to be one of the fastest growing economies in Asia, one in four families continue to be mired in poverty,” Diokno said.